Volume expansion can be caused by many factors, usually excess salt intake or impaired kidney function. Increasing the amount of fluid the in the body directly raises blood pressure. 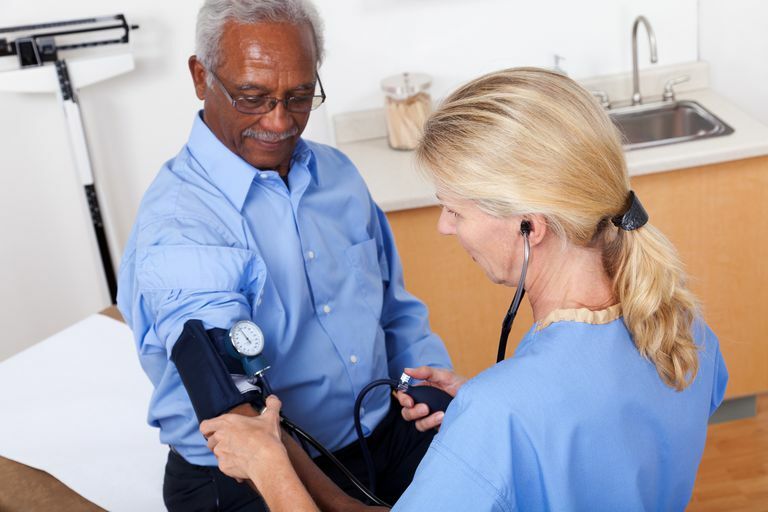 Most people first discover that they have high blood pressure during a routine visit to their doctor for an unrelated complaint, or a regularly scheduled health maintenance appointment. Another common time for diagnosis is during a woman’s first prenatal visit during pregnancy. Since most first-time mothers tend to be young, regular visits to the doctor aren’t a priority until they become pregnant, leading to an uncharacteristically high rate of diagnoses in this patient population. While having a cold will make your nose stuffy and heart problems may make you weak or cause pain, high blood pressure can exist for years without any noticeable signs. For this reason, blood pressure is commonly referred to as the "silent killer" because it can cause serious injury, or in the worse case, death, if undiscovered or left untreated. People with high blood pressure typically carry on with their normal lives, unaware that anything is wrong. There are a few key high blood pressure symptoms to look for, however, so be sure you know the signs. Malignant hypertension is a rare but very serious form of high blood pressure that is defined as severe hypertension. The condition occurs along with internal bleeding of the retinas in both eyes and swelling of optic nerves behind the retinas. Malignant hypertension must be treated quickly to avoid serious organ damage and, possibly, death. All the major organ systems are at risk from the severe blood pressure elevations present in malignant hypertension, but the kidneys, eyes, and brain seem to be most at risk.